The Maxi-Cosi RodiFix summer cover keeps your child cool on hot summer days. The summer cover is suitable for the Maxi-Cosi RodiFix and Maxi-Cosi RodiFix AirProtect. 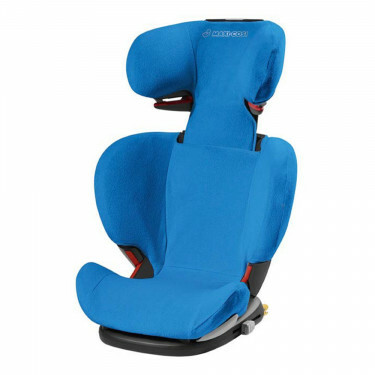 This Maxi-Cosi RodiFix summer cover fits over the Maxi-Cosi car seat RodiFix. Through the terrycloth this summer cover feels cool and comfortable in hot weather.The cover is washable, so the car seat stay clean for a long time. Suitable for the RodiFix and RodiFix AirProtect.